For a long time, silk has figured as a proverbial example of nature’s skills: strong and breathable, and soft to the skin as no man-made material could achieve. But we are about to cross this border: artificial silk has been synthesized, or at least materials very close to it; it may come to the market soon, depending on cost reductions still to be achieved. Footwear made from biosteel fibre. Photo: Adidas. Silk is both soft and strong, properties that are difficult to achieve for man-made materials. And yet, it is just made of proteins. Small wonder that scientists have been attracted to the research of this miraculous material and have set the first steps towards the synthesis of artificial silk, using modified microorganisms. One of the companies that is about to commercialize this material is AMSilk from Bavaria, Germany. AMSilk set the first steps on the path towards artificial silk some ten years ago. In 2011, they developed their first proof of concept filament. In 2013, the process was improved to such an extent that they could present their first commercial filament, called Biosteel®. In 2014, they built a pilot plant in Planegg in the outskirts of Munich. Since 2015, they produce customer- and project-driven fibres with established proven parameters. Silk consists of two elements, so we learn from professor Jan van Hest of Eindhoven Technical University. Part of the protein molecules fold in crystalline areas, the other part has a more random structure. The first domain is characterized by repetitions of oligo-alanines (8 to 10 alanines in a row), that lend themselves to be folded to a beta sheet structure, and subsequently to a crystal. This is the element that lends strength to the material. The random element readily absorbs energy, this is the area that lends to silk its toughness. In the past years, says Van Hest, researchers have made much progress, using modified microorganisms, in the development of commercial artificial silk products; these very much resemble natural silk. Progress has been made both in artificial silk design and in processing. The unique performance of Biosteel® fibre, AMSilk tells us, offers a wide range of capabilities. It has proven to be a valuable ingredient for high-performance applications like apparel, footwear, automotive parts, home and interior design, and technical and medical textiles. Customers in the luxury and high fashion industry also discuss projects applying Biosteel®. The unique properties that lend the material its advantages are derived, not surprisingly, from the combination of strength and elasticity – whereas it is ultralight at the same time. All this produces a high skin sensation behaviour and controlled moisture management. On top of that, the material is 100% biodegradable. From an environmental point of view, this is a major advantage over common materials such as nylons. In the washing process, all yarns release micro fibres to the environment. 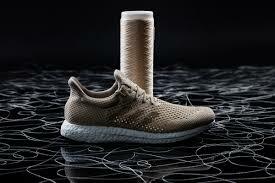 Silk fibres, being biodegradable, will never cause environmental problems. This will allow artificial silk products to be used in some markets for which nylons are unfit. However, just like other known fibres, artificial silk may lose some strength because of wear.